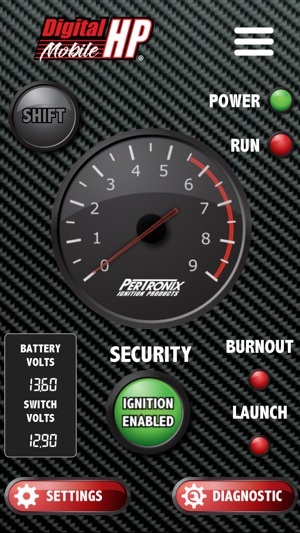 The Digital HP Mobile® app connects to the Digital HP Mobile® Ignition box via Bluetooth® Wireless Technology giving you complete access to program the many features of the ignition system. 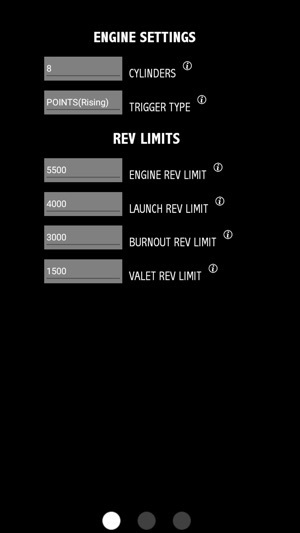 The easy to use app sets your three rev limits, shift light, start retard, spark settings and tachometer preferences. Save and load multiple settings for quick change between Street and Strip modes. 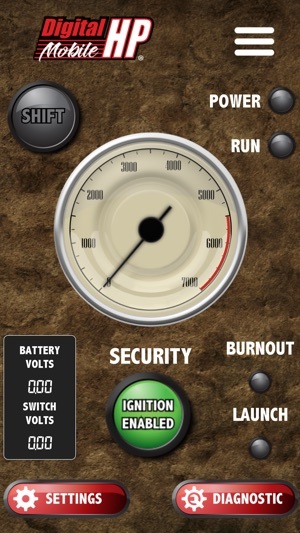 The Digital HP Mobile® app’s easy to read dashboard displays engine tachometer, an active shift light, and system voltage in real time. 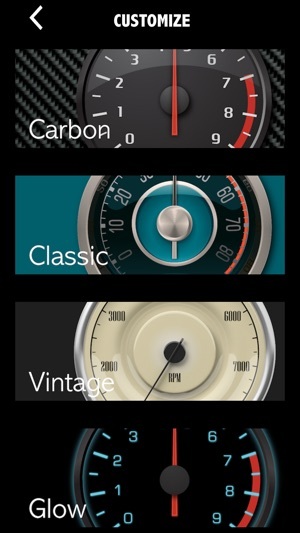 Pre-loaded with user selectable themes allows you to select the look and feel you want. Unique to the Digital HP Mobile® are robust one touch security modes allowing the user to set the ignition system into a valet mode with reduced rev limit or completely secure the vehicle by disabling start. Very clean app! Nice features and easy to work. Love the different face classic background!